As the Rugby World cup kicks in, more questions are being raised about whether there will be any relocation vehicles, or any rental vehicles available at all for that matter, and if so from where. To be honest, I really do wish I had a crystal ball (as do many other businesses I’m sure) but I don’t (otherwise I would be filthy rich and not sitting at my desk right now :)). With an estimated 80,000 visitors said to be arriving into New Zealand for the World Cup Tournament, we can only imagine that many of them will be renting cars and campervans across the country. We don’t know however, where or when they will be arriving and leaving as many will likely use this time to travel the country. What I can do, is tentatively make some guesses as to where vehicles may be headed and where they may also get stranded. So if we look at the Rugby World Cup 2011 Match Schedule we can roughly calculate where RWC fans will be headed based on the most popular matches and teams with the largest followers (national and international visitors). The tournament kick off will be at Eden Park on the evening of September 9, 2011, seeing New Zealand and Tonga go head to head. The following table shows each of the 11 regions and which rugby matches will be played in their cities. I have used a colour code based on calculations made from international travel statistics (NZ statistics, 2006 – 2010), taking into consideration the general flow of tourists into NZ, the popularity of certain teams, airport locations and the geographical location of countries (ie; ease of access to NZ). From this data you will get a rough estimate of where people will be travelling to. If they are then leaving they will be heading to the nearest airport to either fly home or fly to the city where their flight is scheduled to leave from. When they do this, they will ultimately leave their rental cars and campervans behind, giving us the chance to relocate them for the owners. 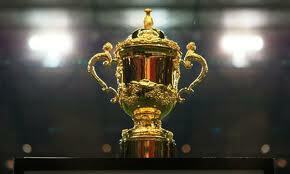 On that note, good luck to all the teams competing in the RWC. We hope to see you back visiting New Zealand (driving one of our free cars or campervans) after the games are done and dusted.